Zabaglione, the boozy Italian custard, is an endlessly riffable technique. In this version, a sweet wine such as Marsala is whisked together with sugar and egg yolks over low heat. 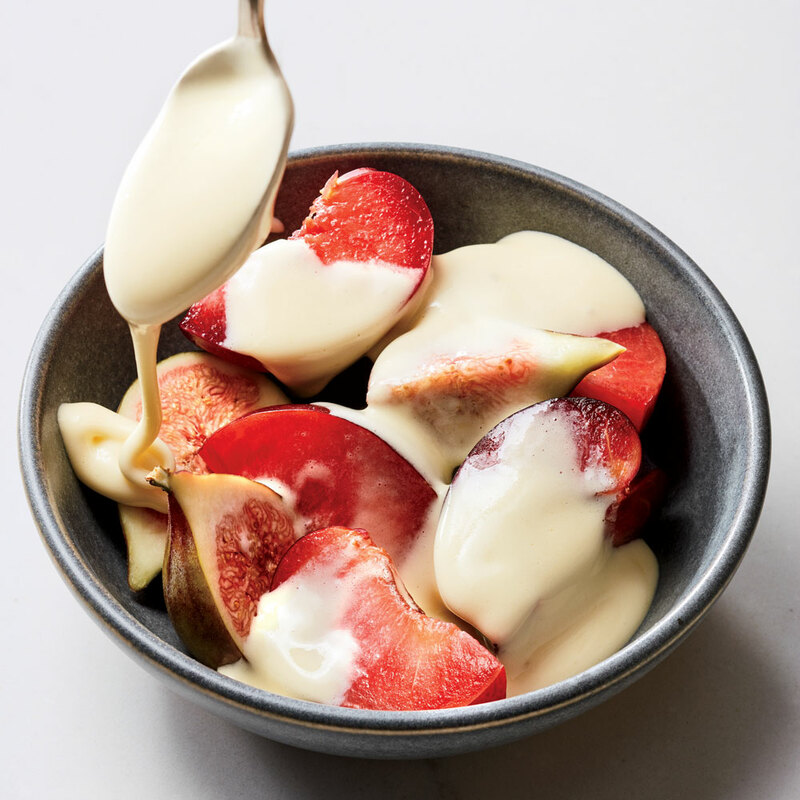 The result is a creamy, dreamy sauce that is perfect drizzled over fresh fruit. Feel free to experiment to your taste based on your favorite pairings. Beat yolks in a heat- proof bowl (preferably copper) until combined. Add sugar and salt, whisking constantly, until combined. Heat mixture over a saucepan of barely simmering water, whisking vigorously to incorporate air into mixture. Whisk until custard is warm, tripled in volume, and dragging the whisk across it leaves a ribbon on the surface, 8 to 9 minutes. Remove from heat. Serve immediately, or whisk over an ice bath until cooled.